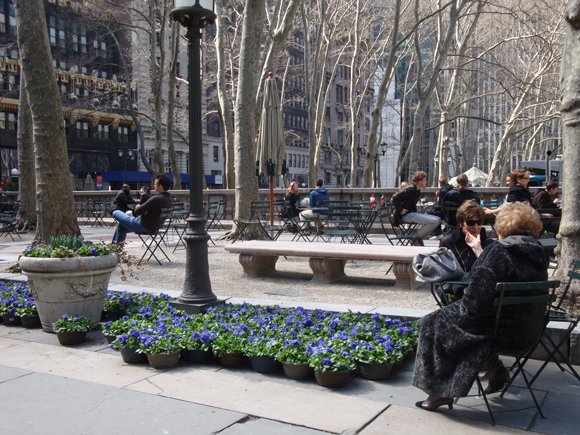 The bright yellow flowers made their debut over the weekend, blooming in areas of the park that tend to get the most sunlight, primarily the Sixth Avenue and 42nd Street sides. 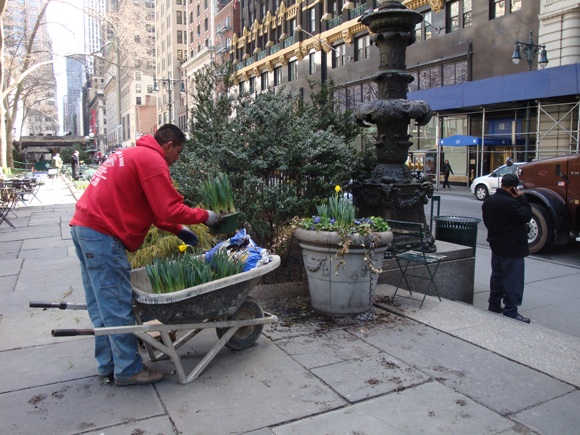 Today, the park bustled with activity as our horticulture team began planting the spring flower display. We received a large delivery of plants this morning that included purple pansies, pieris japonica, more yellow daffodils, and tulips for our planters. You'll see groups of potted flowers staged throughout the park as the staff makes their way through all the areas that need planting. The new flowers already add a welcome dose of color to the park...we can't wait to see the rest in bloom!